In the beginning of 2018 the base of the EmergenSea network is connected to Hvar. 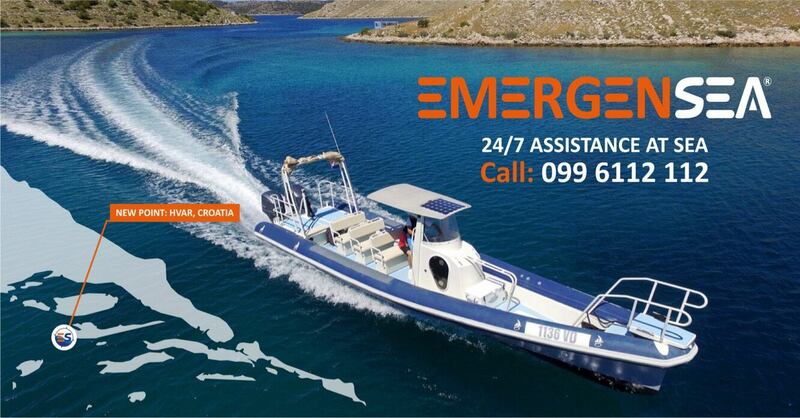 The base in Hvar comes to boost the EmergenSea network in the South Adriatic, where is increasing demand for multiple bases every season. Hvar with its excellent geographic position will cover the Pakleni Islands and directions to Vis from Split, Brač or Hvar. In Hvar base will be experienced skippers with excellent boats. So our renowned sailor from the sailing club Mornar Filip Jurišić comes in our network. Filip will, with great pleasure, spend his time on Hvar (often absent because of many contests around the world) to be available for help at sea. For assistance services ES base Hvar will use two ribs. Smaller TORNADO 5.8 with Honda 100HP suitable for transfers and deliveries, but has a towed beam if needed. Another rib is a powerful COLNAGO 39s with two Yamaha 300HP engines. We just have to welcome the new team from Hvar and hope for a successful season.